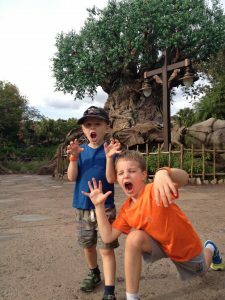 Part III in our eight-part series on visiting the Disney parks for the first time focuses on traveling to Animal Kingdom with young children (the 6-and-under set). Animal Kingdom is part theme park, part zoo. What’s nice about this park is that it’s an explorers’ mecca with a really fun playground. This park also requires a lot of walking, so don’t be tempted to leave strollers behind. As we mentioned in Part I and Part II, every family is different. So, if there are any Disney pros out there reading, please add your own comments and suggestions below. We don’t want to miss a thing. Also, with all the Disney parks, it’s best to arrive when the park opens (rope drop) on a weekday. If you can avoid major school holiday breaks, you will experience less crowds. When scheduling your FastPasses, you can do so 60 days in advance if you are staying at a Disney Resort. If you are not staying at a Disney resort, you can pick your FastPasses 30 days in advance. 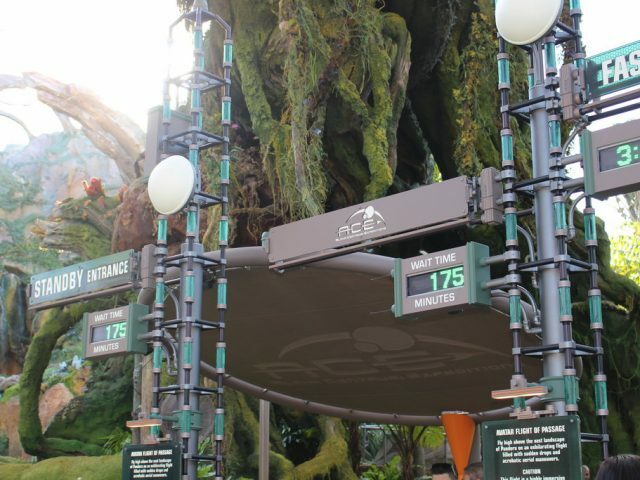 Make sure you get a FastPass for the Na’vi River Journey (all ages) or Avatar Flight of Passage (44” and up) as soon as you are eligible. You can’t have FastPasses for both. You’ll have to choose one or the other. The Tree of Life is to the Animal Kingdom what Cinderella’s Castle is to the Magic Kingdom. 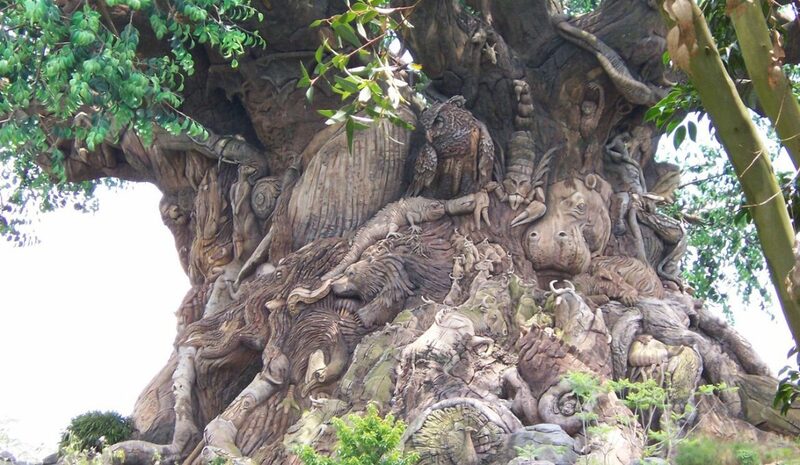 When you enter Animal Kingdom, you can’t see the Tree of Life right away. You actually have to pass through the Oasis first. Take your time. The Oasis is filled with small animals and birds, and poking about is fun, especially in the morning when the animals are most active and noisy. But once you emerge from the Oasis’ greenery, you will get “that Disney feeling” as you see the majestic Tree of Life before you. The artistry is like nothing else on earth. It takes a minute for your brain to realize that it’s not just a larger-than-life tree standing before you, but a melding of every creature into one. Fun Tip: On Discovery Island, pick up a Wilderness Explorer activity book. 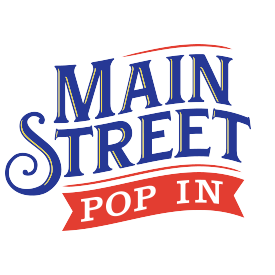 Throughout the day your kiddos can stop at dozens of WE locations for an activity and stamp for their book. 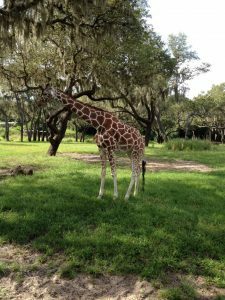 Experiencing the Kilimanjaro Safari first thing in the morning is a great way to kick-off the day. You have a good chance of seeing the animals walking about and interacting. 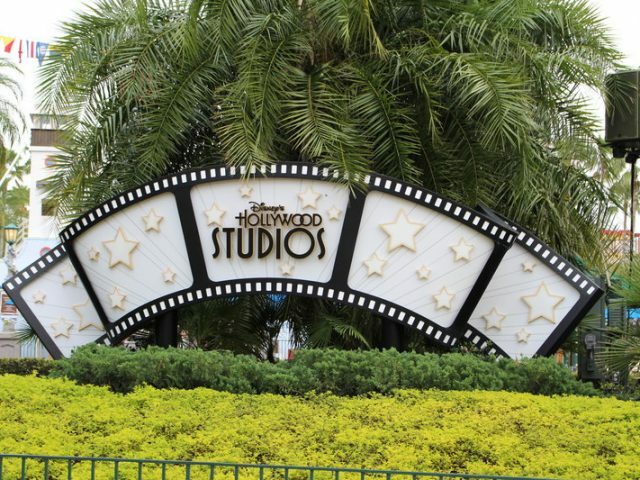 The attraction entrance is located in Africa, at the far back of the park. 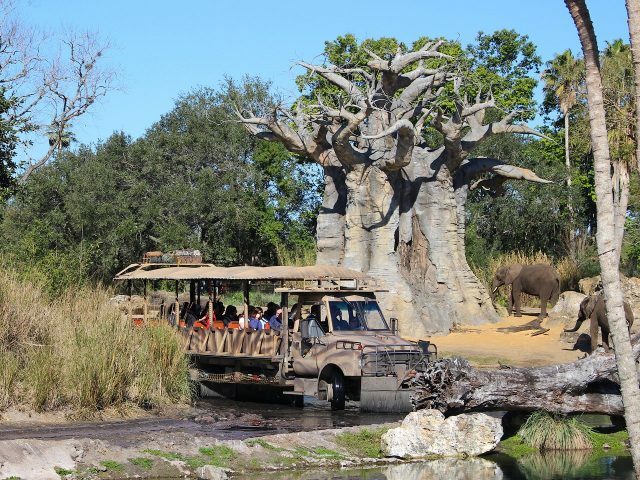 The experience takes guests on a 22-minute ride through the Harambe Wildlife Reserve. In that time, you will see dozens of animals in their natural habitats. The highlights are the elephants and the giraffes, but you never know what animal might be showing off that day. This show alone is worth the price of admission to Animal Kingdom. Festival of the Lion King is a Broadway worthy combination of music, dancing, acrobatics, and costumes. It does not matter how old you are, Festival of the Lion King will entertain you. This attraction is also located in Africa. The Pop In team has not traveled to Pandora yet, but we are still going to recommend you see this newly created land in Animal Kingdom. We’re pretty confident it will amaze. For the younger set, take a trip on the Na’vi River Journey (make sure you get a FastPass) and see the bioluminescent rainforest. Only those 44 inches and up will be able to ride Avatar Flight of Passage (and if you plan on riding it, get a FastPass, or plan to spend a few hours of your day waiting in line). Don’t miss the Windtraders shop and the “not-from-this-world” food and beverages at Satu’ll Canteen. We hear the cheeseburger pods are really good! 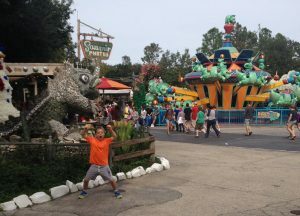 After the calm of Discovery Island, ramp up the fun at Dinoland U.S.A. 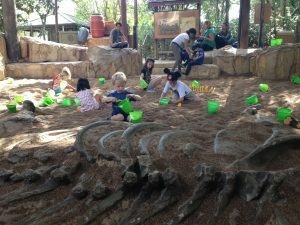 The boneyard is a fun playground where kids can walk through caves, climb high, and dig for dinosaur bones. There’s only one way in and out, so parents can camp out near the entrance/exit and let their kids have some freedom. However, the equipment is big enough for you to join them on their explorations too. Dinoland has its prehistoric version of the Dumbo ride called TriceraTop Spin. The center of the land includes several carnival games. (These are fun, but unfortunately there is a charge to play, and it’s not very easy to win a prize.) Don’t miss the puppet show, Finding Nemo—The Musical. The two other attractions, the Primeval Whirl rollercoaster and DINOSAUR, are more for older children. The rollercoaster is a fun old-school amusement park ride, but the height requirement is 48 inches. DINOSAUR has a lower height requirement (40 inches) but be warned that the dinosaur Audio Animatronics at the end of the ride are SCARY. This is a self-guiding walking tour in Asia. Here you’ll see one of the rarest tiger species—the Sumatran tiger. In August, two Sumatran tiger cubs were born, and will hopefully make their debut soon. Another highlight is the giant fruit bats—the Malayan Flying Foxes. 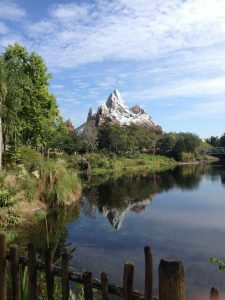 The Jungle Trek is near two of Animal Kingdom’s thrill rides—the Kali River Rapids and Expedition Everest. For the grownups in your group, we highly recommend using a rider switch option (where the adults can take turns riding) or FastPass for Expedition Everest. Anyone 38” and up can enjoy Kali River Rapids, but be warned, you will get drenched. You may want to save this one until you are ready to go home for the day. The other walking trail to explore is Gorilla Falls. Here lives a troop of western lowland gorillas. The vast tropical forest habitat is impressive, and a few of the gorillas almost always sit near the viewing area for a close-up encounter. All the walking can be a lot for little ones. At this point you’ve explored most of the park. It’s totally fine to call it a day and head back to your resort. If you just want some quiet time, but you’d like to return to the park to see it lit up a night, then take the complementary Disney bus transportation to the Animal Kingdom Lodge. 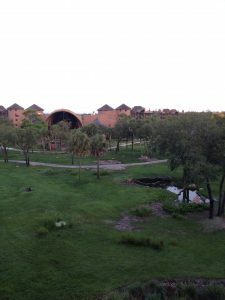 The Lodge has some of the best restaurants on Disney property (Sanaa, Jiko, Boma, and The Mara), its own savannah to explore, wonderful African Art, and lots of quiet nooks. Try another trip on the Safari late in the day and see the savannah at sunset. Or better yet, experience a nighttime safari tour. Also revisit Pandora—The World of Avatar. We hear the land is a completely different experience at night. Animal Kingdom’s nighttime entertainment show, Rivers of Light, is unique to the park. It takes place on the Discovery River, where light, water and sound combine to create the story. The show runs on select nights for about 15 minutes, so check prior to your arrival about show dates and times.